God of War (the new one) hits its one-year anniversary this Saturday. It's pretty hard to believe as I still hear stories of folks picking it up and enjoying it, having avoided spoilers all this time. Sony really pulled a rabbit out of a hat with this one, as tons of former players were doubting whether or not Kratos would translate well in the modern era and into Norse mythology. He successfully and effortlessly acclimated with both. 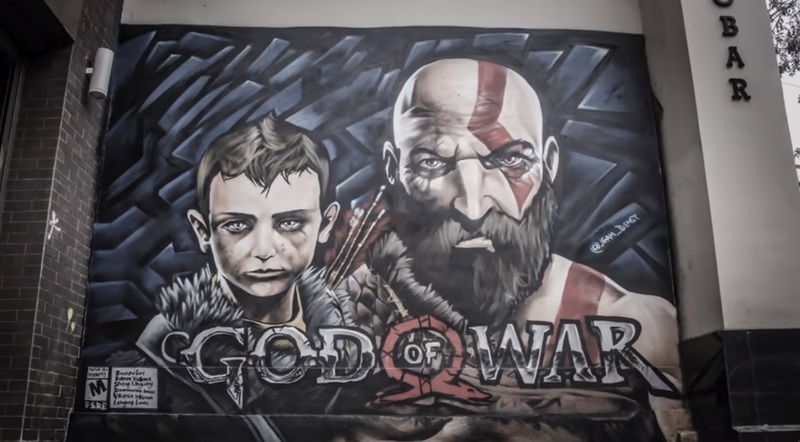 To celebrate this impending one-year mark, Sony has shared a video with various members of the development team explaining their favorite moments in recent God of War history, which you can peruse below. There's also a free avatar download coming later this week, as well as a dynamic PS4 theme. The video might seem sappy but SIE Santa Monica Studio has a lot to look back on, having wowed the entire gaming-sphere, from series fans all the way up to the award-giving elite. In some discussions, the new God of War is being used as a new bar when it comes to cinematic action. So long as popcorn action is still allowed the respect it deserves (Devil May Cry 5 for instance), there's plenty of room to talk God of War's titanic influence.